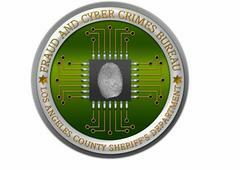 Los Angeles County Sheriff’s Department, Fraud & Cyber Crimes, Real Estate Fraud Unit, announces the filing of a criminal complaint against a male suspect related to identity theft, forgery and procuring and offering a false instrument for recording. The investigation took place over a three month period. On Friday, September 1, 2017, the Los Angeles County District Attorney’s Office charged Vu Hoang Ho in a criminal complaint, and a warrant was issued for his arrest. It is alleged that between the above indicated dates, the defendant participated in an elaborate scheme to defraud various families of their properties. The scheme was perpetrated by way of the suspect committing identity theft on either the deceased owners of the property or living elderly victims, forging the victims’ names on various fraudulent real estate documents, and having those documents recorded at the Los Angeles County Recorder’s office. The suspect then offered the properties for sale to unbeknown victim investors without the victim owners’ knowledge. On Thursday, September 7, 2017, Suspect Vu Hoang Ho was arrested by Fraud & Cyber Crimes Bureau investigators and booked at the Walnut Sheriff’s Station. He was charged with identity theft and other forgery and fraud related charges. He is being held in lieu of a $1,225,000 dollar bail. Los Angeles County Sheriff’s Fraud & Cyber Crimes Bureau, Real Estate Fraud Unit, suggest to home owners to check their properties histories for accuracy as to the correct chain of title. If discrepancies are noticed in the title chain, contact a real estate professional for advice. If residents suspect criminal activity they should contact their local law enforcement jurisdiction for direction. Los Angeles County residents should also be aware that every time a real estate document gets recorded with the Los Angeles County Recorder’s office a notice gets sent to the property owner advising them of such. This service is provided to make home owners aware that activity is taking place with their property. A criminal complaint contains allegations that a defendant committed a crime. Every defendant is presumed innocent until and unless proven guilty. Anyone with questions or information can contact the Los Angeles County Sheriff’s Fraud & Cyber Crimes Bureau, Real Estate Fraud Unit, and Sergeant Alex Gilinets at (562) 946-8250. If you prefer to provide information anonymously, you may call "Crime Stoppers" by dialing (800) 222-TIPS (8477), use your smartphone by downloading the "P3 MOBILE APP" on Google play or the App Store, or by using the website http://lacrimestoppers.org.